I bought this for my granddaughters 9th birthday and she is thrilled with it. It’s good quality and all that it was described to be. Every client without fail has given this mat the thumbs up. Comfortable, light and easy to manoeuvre and a great colour. Once it wears out I would definitely buy another. The mat is a perfect size for me to do a variety of exercises on . No fear of it sliding under my feet or having to change my positions when exercising , like I had to with the small sizes of my previous mats. The thickness of the mat is also perfect as it cushions my knees when doing HIIT training and is very comfortable to lie on when doing yoga or Pilate's moves. I am very happy with my purchase. Brought i2 mats for my 8 year old daughter so she can practice her gymnastics and she loves them. Great value for money and delivered quickly. Cant fault the sevice and product I would buy it again and buy from Newitts. Lovely soft mat, great for use indoors and outside on the grass at home. Perfect for young daughter just starting out with gymnastic sessions. 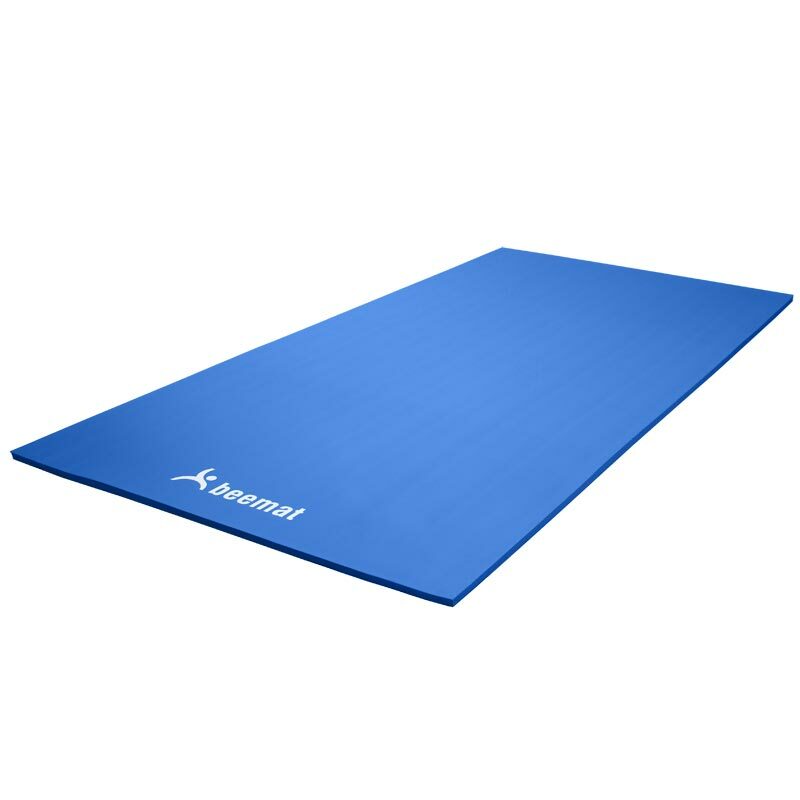 I also use it for floor exercises as it provides more padding then the standard exercise mats that you can buy. The mat is perfect for my 10 year old to practice her gymnastics at home, be it in the garden or in the house. A very good product with excellent service as always from Newitts. 4 out of 5 From click to delivery just 25 hours! Great service: I ordered two gym mats just before noon on Monday, and they arrived just after noon the following day. The mats are awaiting "testing" by my 9 year old when she gets home....but I'm sure she'll be delighted! 5 out of 5 Great - Does what it says on the tin! My 10 year and 8 year old children use these mats to practice gymnastics and acrobatics on. They are flexible and spongy allowing them some great cushion when they land. Would like to buy more but the only thing putting me off is that they do seem to tear fairly easy. Other than that they are a great product. 2m X 1m Great quality for affordable price, perfect for gymnastics practice. As approx 2.5cm depth great for landing. And can be rolled up for storage. the beemat Annapurna is amazing it realy helped me with learning some moves and it has helps me if I fall because it softened my landing. It's also is easy to move around because it is light weighted and is is really flexible so it is easy to put it away. The beemat Annapurna is a great value for money. THANK YOU! Brilliant, she uses it everyday , ideal for her practicing her gymnastics . Soft, comfortable , excellent value for money, would highly recommend if anybody required a mat for at home. as described. perfect for acrobatics lessons. rolls up quite well so easy to store. grips well to the floor so not slippery. 5 out of 5 Brilliant mat! These mats are ideal for the budding gymnast. Great quality, easily moved around and fantastic value for money. Cannot fault them in any way. 5 out of 5 Brilliant piece of kit! 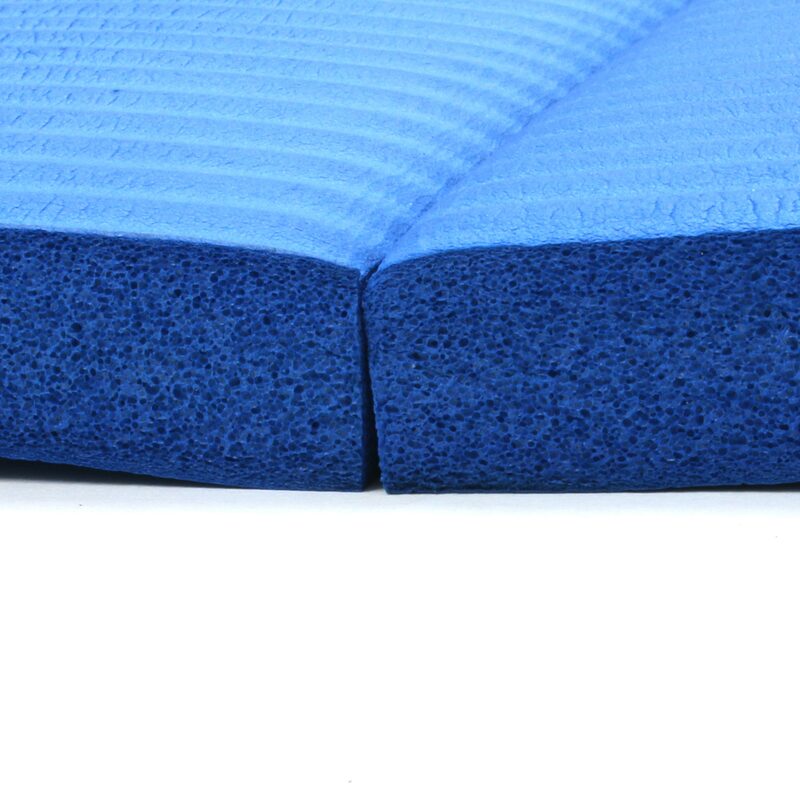 The beemat is excellent; a good quality, dense, cushioned mat with great impact protection. My daughter has found it invaluable for practising flicks, flips, aerial cartwheels etc. and also uses it as protection on her low, practise beam. We have also found it gets used a lot for strength and conditioning work as it stays in place and is far more forgiving than the floor. my daughter loves it and uses it a lot, miles better than sofa cushions, and stores away under the sofa folded loosely in half. Ordered this mat for two girls to practice tumbling and handstands. It is a good size for when they tumble and it is sufficiently padded so they don't hurt themselves. It was cheaper than the same product from other suppliers, delivery was very fast and we are all delighted with the mat. This is an excellent mat. I was going to buy the more expensive Deluxe mat for my gymnastics mad daughter but I'm really glad I didn't as this one is perfect. The thickness is just right and it has a slight soft rubbery non slipness to it that makes it easier to do bridges etc. The other huge plus point is that is rolls up really well so its easier to store than a more solid one. I highly recommend the product. I also rate Newitts customer service very highly - they went out of their way to get it to me quickly just before Christmas (as I had left it a bit late) . Excellent company and excellent product. Excellent value and quality. Thick, light and sturdy. Very flexible which is great for storage. Arrived speedily and appropriately packaged. My daughter is delighted with it. Great product at a great price. Excellent quality and my daughter loves it now she can practice her acro dancing in the house. Excellent value for money. My daughter loves it. It's a good size for doing walkovers and other gym activities. I've also used it to do my own exercises on! Good quality mat, pleased with purchase, good size and well padded. Perfect for practising at home. My daughter loves it! Great gym matt, thick and large - my daughter loves it !!! Easy transaction and prompt delivery !! Very satisfied with the product we have received, not cheap but good quality. 5 out of 5 Keep the grandkids active! My 9 year old granddaughter was absolutely delighted with the Beemat Annapurna gym mat.... A very successful Christmas gift for her.... Large enough use for many years.... It remains to be seen if the dense foam begins to break down! I recommend this for young gym enthusiasts.. Quite heavy to move so adult moving would be sensible! Excellent value for money!! This mat is perfect for my daughter practising her gymnastics on,perfect quality for the price and was delivered quickly.I would recommend ordering from newitts . Recently purchased this gymnastics mat for my daughter so she can practice inbetween lessons. I was impressed by the quality of the mat and how quickly it arrived. Would definitely recommend! My granddaughter was thrilled to bits with this mat. She could easily do her gymnastics and cartwheels on it either inside or out. Very pleased. Our granddaughter is delighted with her new mat, the quality is first class and should be longlasting. We will probably buy another in the near future. Bought two of them for my grandchildren . Much bigger and thicker than I expected. A very good product, really pleased with them. Great value for money. Would recommend! My young daughter loves it. Nice quality and ideal size for indoor use. I've never used the mat myself, but the little gymnasts in my house love it. Just what we were looking for. Good thickness, doesn't slip and seems very durable. Recommended. Good mat, it's effective for practicing at home, it seems durable...time will tell! We are using it for gymnastics and martial arts. An excellent mat, delivery was fast and efficient, and the quality is very good. The thickness and size is perfect for my Daughter's conditioning for her trampolining. I bought this may for my daughter to practice her gymnastics on and it certainly does the job! Excellent size and thickness, but lightweight to move around easily! Extremely happy with this purchase! My daughter was delighted with her gym mat, a very early birthday present! Many thanks for a speedy well packed delivery. We bought this for our grand-daughter and as an enthusiatic gymnast she is delighted with it. It was also delivered promptly. Delighted all round. The quality is good, the price fair, the delivery swift. I am 90kg and use the mat for stretching out on, it works as it should. 5 out of 5 Great gym mat! I was very impressed with the speedy delivery, as it arrived the day after I ordered it! I found the website easy to use also. This was a birthday present for my 13 year old granddaughter who is an avid gymnast! She is delighted with it and it is already helping her to improve her gymnastic skills! It is light enough that she can move it around easily and it has a nice smooth, yet durable surface. She would certainly recommend it!! More than happy with my purchase. Well priced and ideal for my girls to practice their gymnastic / acrobatic dance moves on. They roll up easily and can be doubled up for the more tricky moves due to the non slip backing.